A Guelph man is now $333,333.40 richer. 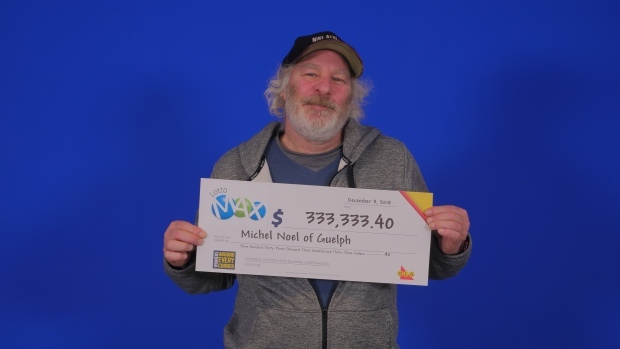 Michel Noel won one of the LottoMax MAXMILLIONS prizes from the November 30 draw. Noel says he’ll pay bills and invest his winnings. He purchased the lucky ticket the at a store in Ottawa.